Cohen Todd Kite & Stanford’s Litigation Practice Group has one goal: to obtain the best result for our clients in the most efficient and cost-effective way possible. Because our attorneys recognize that litigation is expensive and time consuming, we focus on strategies that will resolve disputes expeditiously and serve the client’s best interests. Our attorneys are skilled in obtaining positive resolution of disputes through negotiated agreements, arbitration, and mediation. 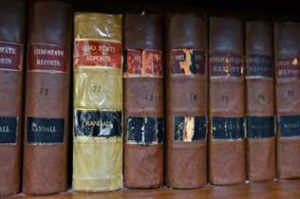 Where trial is inevitable, we rely on our depth of experience in both complex litigation and simple disputes to aggressively represent the client’s interest throughout discovery, trial, and the appeals process. Our Group members routinely represent both individual and commercial clients locally, regionally, and nationwide in state and federal courts. Consistent with Cohen Todd Kite & Stanford’s client-centered focus, we work with the client to develop and implement litigation strategy that is both appropriate for the particular dispute and acceptable to the client. Cohen Todd Kite & Stanford’s Litigation Group members have extensive experience in handling a wide variety of legal areas and disputes. These include: contract issues, complex financial and business disputes, employment and civil rights matters, intellectual property litigation, probate litigation, commercial disputes (e.g., banking, construction, real estate), personal injury, products liability, and professional malpractice. In addition to expertise in these general litigation needs of clients, our firm also has a strong contingent of attorneys highly experienced in other specialized areas of litigation including bankruptcy, creditors’ rights, and criminal defense (including juvenile law). In complex cases which may encompass multiple legal areas, we use an inter-disciplinary approach that draws on the expertise of our attorneys best suited to the particular issues involved so as to achieve the best result in the most efficient way for the client. For all your legal needs and concerns in regards to your litigation case contact the Cincinnati Litigation Attorneys at Cohen, Todd, Kite & Stanford today! Call us at (513) 421-4020.